Thomas E Rouch is one of Australia's most talented young film & TV composers. His latest score to The Reckoning won best music at the British Independent Film Festival. Nick Tsiavos recorded live at the Triple R Performance Space in July 2012 by Melbourne's 3RRR 102.7FM. Nick Tsiavos recorded live at the Triple R Performance Space in March 2012 by Melbourne's 3RRR 102.7FM. The Spheres recorded live at the Triple R Performance Space in July 2012 by Melbourne's 3RRR 102.7FM. The Spheres recorded live at the Triple R Performance Space in March 2012 by Melbourne's 3RRR 102.7FM. Classically trained, alt-pop prince, Jack Colwell, releases his highly anticipated new single Far From View this February. Inspired by the sounds and loneliness of 'Twin Peaks', Far From View takes its listeners on a journey of heartache, interpreted with wailing strings, subtle melodies, intricate harmonies and amplified by its ethereal female chorus. Elodie Sablier is a French Composer & Pianist who is now living in Australia. Exploring the frontiers of Classical, Elodie offers a touching rounded music in her new Album, Vertigo. Neither too overtly dramatic nor too languid, Elodie treads the middle ground of an engaging, pensive tastefulness that spins a gentle, hypnotic web of sure footed musical discipline. Vertigo is the first piece Elodie composed just after she arrived in Sydney. Nightingalefloor.com.au an arts project created by Australia’s top musicians/creatives who've come together to raise awareness of the impact Unsustainable Palm Oil is having on the world’s orangutan population. The single musically & lyrically creates an atmospheric sense of hope, while at the same time creating an emotive artistic statement that people will want to be a part of. Slow in tempo, but rich in musicality. Leyb Rozental wrote the lyrics to this song whilst interned in the Vilna Ghetto, Lithuania during WWII. It describes the torment of longing for one’s home. The original composer of the music is unknown, this version is a recomposition by Joseph Giovinazzo. Michael Kieran Harvey is one of the foremost interpreters of contemporary piano music of his generation. He has performed with Australia's leading contemporary music ensembles and orchestras. Mrs Zuben is a survivor of the Vilna Ghetto and move to Melbourne, Australia after the war. Her story was captured by Steven Spilberg’s Shoah Foundation, a non-profit organization that archives filmed testimony of Holocaust survivors. Both Mrs Zuben and her brother appear in The Songs They Sang feature documentary. CO2 is a playful (if eccentric) ecoacoustic composition that swiftly moves from a technologically mediated space (used to articulate the often vitriolic, distinctively 21st century ‘meta’ controversy surrounding climate change) through to its conclusion; a collection of field recordings and location film capturing parts of the high Arctic polar region. Over its 24-year history, the Sydney Children’s Choir has built a worldwide reputation for choral excellence. Under the direction of founder Lyn Williams OAM, the choir champions new Australian music. Joseph Twist’s Rain Dream tells the story of a child who lives in the Australian bush and has never seen rain and dreams of a thunderstorm. The work evokes the spirit of the outback, and slowly develops into a rain dance with chanting of “Wandjina,” an Australian Aboriginal rain spirit. Elena Kats-Chernin, Australia’s most well-known contemporary composer, invited Acacia Quartet to record her complete work for string quartet which resulted in the double CD ”Blue Silence,” recorded for Vexations840. top 100 chamber music pieces in 2008. Abbott captures the little things that make us human. She seeks to unpack the human side of life; humour, foibles, quirky things we do and say, beauty, grief and friendship. Shaving, coat-hangers and changing sheets; all part of the repetitive, yet comforting domestic rituals familiar to everyone’s day yet so entrenched and considered so unremarkable, they are rarely acknowledged in conversation. Movement 2 of 6 explores the moment when changing sheets; watching the sheets float down onto the bed. 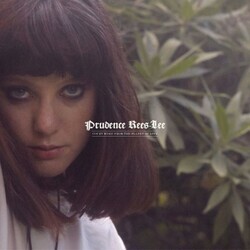 Prudence cut her teeth studying at the Melbourne University music department, where she was drawn to the eras of early baroque and late 20th century chamber music. 'Paradise' is a great example of Prudence Rees-Lee's ability to craft baroque-psychedelic-folk songs that ooze with otherworldliness. 'Paradise' is romantic and fantastical, an endless voyage seeking the points where music and earthly transcendence collide. Celtic/New Age pianist, composer and singer Fiona Joy Hawkins celebrates her most epic and significant album 600 Years in Moment recording with a handmade Australian piano and ancient world instruments. Very "Lord of the Rings" and Enya'ish. Acoustic instrumental with vocals.